I always keep cryptocurrencies and tokens in wallets unless I am actively trading them, and with my luck, I was recently trading some on Binance. And while I think it will be fine, this certainly reminded me why I love the concept of decentralized exchanges. I started trading and getting into cryptos back in 2013, and even at the time I thought it was odd that everyone was trading on centralized exchanges and trusting them like banks, but that was the situation and still is for the most part. I signed up for Coinbase and Mt Gox right away. 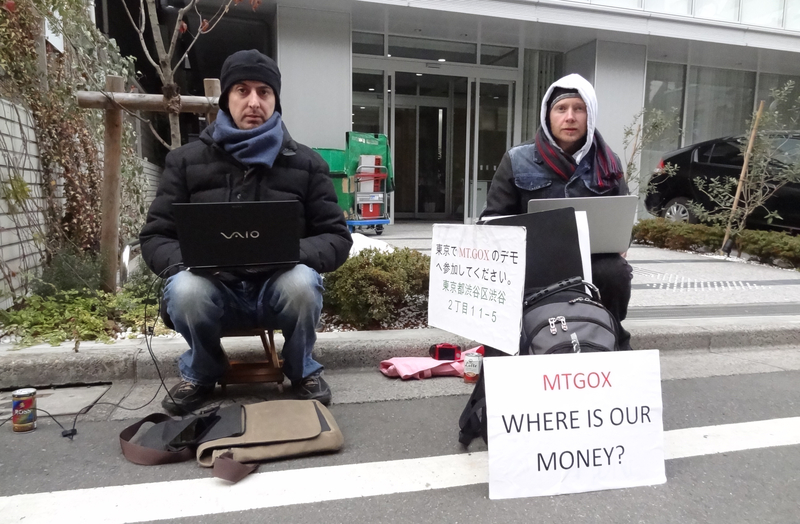 After checking out Mt Gox and all the talk about it, I decided it was not worth the risk, and eventually, I even starting warning people away as everything I was seeing pointed towards insolvency. Letting people deposit, but not letting them leave? No thanks. For the Altcoin exchanges at the time, for the most part, there were two popular exchanges used in the west. 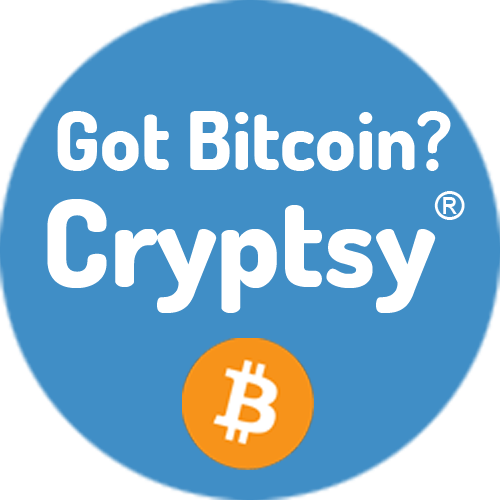 Cryptsy, which just sounded shady to me, and MCXnow, which had a more professional design, worked better, and even the branding sounded more business-like. So I chose the technically superior and more trustworthy option as I saw it at the time, the exchange by Real Solid. Sounded, solid? Trading Litecoin and others on MCXnow I did well, but of course, as a noob, I just left everything on the exchanges, every single satoshi. 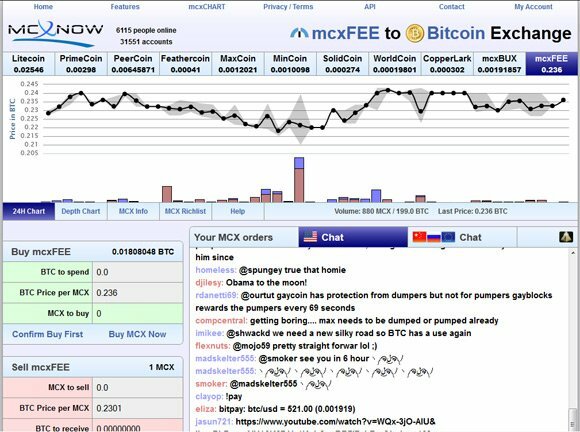 One day I went to log in and there was a weird animation saying the exchange was down and would return in the future, and on a funny note, they had something to trade called MXCFEE, which is very much like BNB coin and the other exchange coins popular now, they were investments in the future of the exchange. Anyway, luckily the exchange came back up for a time and I learned how to install and use real wallets and have been paranoid about losing everything on an exchange since. The exchange went away many years ago, and I heard all evidence of it was deleted and shredded, I have no idea if people had losses or not from it. Cryptorush is another exchange I traded on, that one failed in a spectacular manner, someone even attempted suicide, there were death threats and fortunes were lost for good. Mintpal is another one, it was the most popular Alt exchange by far, and people used to try and buy on Poloniex so they could sell higher on Mintpal later, but in the end, Mintpal went away and people lost their money. I also traded on Cryptsy, this time for years, and without knowing it, at times I was trading large amounts without knowing it was insolvent and only survived by new funds coming in, if we are to believe Big Vern of Cryptsy. That exchange I barely escaped in the end, needing to convert to Dogecoin and get the heck out of Doge, as there was no real BTC to withdraw, it was already stolen. Countless other exchanges, especially small Bitcoin exchanges were hacked, had internal theft, we will never know, but the money was lost forever. The best of the best old exchanges survived, but many people lost everything on these exchanges, and I have to imagine some might have quit crypto and totally missed out. So as you can see, my lesson from all this is simple, centralized exchanges fail, and historically most all of them have failed. It is trusting a 3rd party and trusting them not to be hacked, not to steal it, not to cheat, to only hire trustworthy people, they require a lot of trust. The edge they have is that it was much easier to run bots on, they were much faster, and that is just where the volume is and people go to the volume. Now, in 2018, we also face uncertainty from regulations. I think it is highly likely all exchanges will require KYC in the future, I think it is extremely possible they might even try to outlaw all anonymous currencies, as they can just point to possible terrorism, drug deals, nations avoiding sanctions, people avoiding taxes, or even worse things every decent person opposes that I will not mention, but I am sure you can figure out what I mean. Therefore, decentralized exchanges will slowly grow in popularity until they are just as big or bigger than centralized exchanges. They offer protection from censorship, allow you to control your own funds the entire time, and are free from the control of outside forces. In time, these will be almost impossible to lose funds on and be just as fast as the centralized exchanges. Those, of course, will remain and be popular, but it is clear to me they will need to evolve to be almost entirely KYC, Know Your Customer, and I suspect will only allow approved cryptocurrencies or projects in the long run. Whatever the governments and banks decide they are ok with, and that is not exactly the original point of Bitcoin or Crypto. So, what options are there for them right now? Not a comprehensive list whatsoever, and feel free to add your own, but there is Etherdelta, which is great for trading ETH based tokens (smart contracts), but only works for ETH and the dev made it essentially closed source or copy protected. I have also used IDEX, and I don’t think this is totally decentralized yet and actually asks for a private key, but if you use a temporary wallet it works fine, but not really a DEX yet. I still see some serious trust issues, to put it mildly, and this one also only works with ETH based tokens. Regardless, for now, I await the good news from Binance, and I think I will be even more careful using centralized exchanges, and to be honest, the first thing I am going to do is withdraw. I was not doing that, and it is easy to get careless and trust a 3rd party too much, and I know for sure that isn’t the long-term future for a decentralized economy, only truly decentralized options are, and the technology and ease of use for them will only keep getting better. Great piece! This has been something heavily on my mind lately. Trusting a centralized exchange with all your crypto is like trusting some insolvent bank with bail-in regimes with all your fiat. It's just ridiculous. Unfortunately, when these exchanges go down, people blame crypto as if it's the fault of crypto as a whole because individuals were not responsible with their own money. Hope people educate themselves and responsibility becomes more prevalent. I think this recent dip shook out a lot of the uneducated crypto holders. Decentralization has always been the future and it will continue to be. People went from going to telegraph offices and telling the person there an entire letter to send over the telegraph to using a telephone with an operator. They went from telephone and operator to just a telephone. They went from newspapers to television and radio. From television and radio to the internet (sites like YouTube and Facebook) and now from centralized sites to decentralized sites like Steemit and DTube. Future is opensourced, encrypted and decentralized. !! yeah, you nailed it : The future is ALWAYS DECENTRALIZED !! Very nice article. I love it when you post on steemit. Always dropping them knowledge bombs. I hope your Binance funds were okay since they apparently were offline today. About your article, a friend of mine introduced me to the idea of decentralized exchanges last Summer and I didn't think it would actually be a real thing. Now, decentralized exchanges are real and I have invested in one through an ICO. At the end, it makes sense to have decentralized exchanges, right? 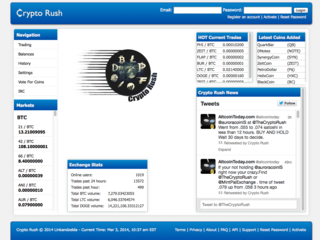 Why would you have a decentralized currency if it is traded through a centralized exchange? It defeats its purpose. It's just logical to have decentralized exchanges now. On another note, I don't know if you play around with coin faucets but I wrote a long article yesterday on how to maximize your free coin earnings. Check it out on my profile. Cheers! The biggest heist in history, not just crypto if I'm not mistaken. By keeping your crypto in your own wallet, that is closer to cold storage than Coincheck was using, which is a shame, but just plain stupid on their part. I just wish there was a one stop shop for full node wallets. At least some kind of combination, BTC, LTC, ETH maybe? Also, if the wallet software had it's own open bizzaresque exchange within the wallet itself, maybe using atomic swaps? That would be pretty dope. Quite literally as well I'm sure. Thanks for sharing, cheers! Mintpal was once my favorite exchange as well, in the end, I was just trying to escape with my funds. As far as I know steemit and streamity planning the decentralised exchange which will handle the fiat money too. Any else? More the merrier, I believe there are dozens of them under development so I didn't try to list them all out. How come you didnt mention Waves DEX? I had the same thought as well. Waves and the bitshares exchanges. This was not a listing of all the decentralized exchanges, and I mentioned people should list others out in the comments. I did not list them all out as I am not sure of every DEX that is active, which are safe and which are not, Waves and Bitshares are big ones and safe to use though. Cryptobridge is built on Bitshares, so sort of the same thing there. ok i m lost reading the article at the 4th paragraf. i m new in the platform, i never knew that the whole system exist in this place. where can i keep up ?